Last week was PostgresOpen Silicon Valley. We'll be doing a follow-up post to highlight some of the details of the event soon. Throughout the event there was the opportunity to interact with our sponsors who are doing interesting things for advancing open source and Postgres, as well as over 1/3 of the PostgreSQL committers that were in attendance. During the conference we had the opportunity to sit down with Sudhakar Sannakkayala, the GM of Azure open source databases to learn a bit more on Microsoft's journey with open source and Postgres in particular. Q: You launched Azure Database for PostgreSQL in public preview a little over a year ago and introduced general availability this year. What did you learn from your preview, and your other database services, that you applied to your GA offering? Solid fundamentals - high availability, resiliency, fault tolerance, elastic scale, and performance – are the foundation of any offering. We ensured the fundamentals are built into our service and platform. Having had years of experience doing this with SQL Server in the cloud, we were able to bring these capabilities and expertise to PostgreSQL in Azure. For example, when customers choose Azure Database for PostgreSQL, it comes with built-in high availability at no extra cost, backed by an industry-leading SLA of 99.99%. Security and compliance came up in almost every customer discussion, from DBAs to CXOs. We ensured security was built-in through features like default SSL connectivity, and default encryption of data at rest and in motion with TLS1.2 standards. Going into general availability, we also ensured global and local certifications, such as ISO, SOC, PCI, HIPAA, and GDPR. Developers increasingly make technology choices around app requirements, often choosing database engines based on app stack. They also want to use data in meaningful ways. We ensured Azure Database for PostgreSQL integrates with other Azure services, such as Azure Kubernetes Service (AKS), Azure App Service, Power BI, Databricks, and Cognitive Services, to enable customers to create end-to-end solutions. We’ll continue to make it easier for customers to use PostgreSQL with other Microsoft services, products, and tools. Lastly, we learned that customers are making a choice not just about the database but also about the cloud platform where it’s hosted. They are looking for cloud vendors to partner with in their digital transformation journey. At Microsoft Azure, we have made investments in building a cloud platform that meets customers where they are with support for the stack of their choice, hybrid solutions and rich set of intelligent solutions. With more public cloud regions than any other cloud vendor and industry leading security and compliance offering, customers worldwide can choose Azure as their trusted partner. It’s been a humbling and great learning experience, and we are thankful for the insight and support of our customers and the Postgres community. Q: We’ve noticed many Azure engineers at Postgres conferences around the world. Can you share a bit about what it's been like to jump in as an active participant in the community? SS: When we made the decision to bring PostgreSQL on Azure, we were conservative – expecting to cater to a limited set of customers asking for PostgreSQL as a service on Azure. The journey started with listening to our customers and users who voted in large numbers for PostgreSQL. It was very exciting to see the high level of interest in our PostgreSQL service. Since PostgreSQL was so new to us, our engineers immersed themselves in the Postgres community, working to understand the needs and wants of the community and endeavoring to build the best PostgreSQL experience in the cloud. We learned a lot and are thankful for all your support through the process! Q: As you’ve gotten a better sense of the needs of the Postgres community and what developers want, what surprised you? SS: During the early phases of preview, we saw firsthand that you’re not just bringing databases to the cloud. You’re looking for end-to-end solutions you can use to build applications and experiences that delight your customers. It’s funny - we were so focused on delivering a great Postgres service that we were caught a bit off guard when we heard the interest in a comprehensive platform. Once we understood that, we worked hard to make it easy for developers to connect Azure Database for PostgreSQL to other services to build end to end solutions. For example, we integrated deployment of PostgreSQL database on Azure with App services, so developers can build and deploy web or mobile applications and get a PostgreSQL database as part of the same workflow. Similarly, we integrated PostgreSQL with Open Source Broker for Azure (OSBA) to make it seamless for developers to connect containerized apps, or cloud foundry apps to PostgreSQL. We also integrated with BI tools such as PowerBI to instantly get insights on data stored in Postgres or ability to develop intelligent apps using Cognitive APIs. Q: What’s next for PostgreSQL on Azure? SS: When it comes to innovating Azure, our overall guiding principle is to help our customers innovate. We focus on technologies that improve customers’ productivity, flexibility, intelligence, and security. You saw several examples of what we have already done - and our customers are asking for even more. We are looking to enable intelligent ML based capabilities to solve some of the key customer challenges around performance optimization and data security. We are also excited about what is coming up with PostgreSQL 11 and will be looking to add support for this major release in the service. In addition to this, we are also focusing on enabling customers migrate their mission critical workloads to Azure and also enable new SaaS/ISVs to build large scale distributed solutions on top of our PostgreSQL service. We're excited to announce Brandon Philips the CTO from CoreOS will be joining us as our guest keynote for PostgresOpen Silicon Valley in a couple of weeks. Brandon Philips was the CTO of CoreOS which was acquired by RedHat, where he is now part of the technical staff. CoreOS was instrumental in the early days of container orchestration and he'll join us to share a little of the journey in particular around etcd and it's evolution. In July 2013 the etcd project was announced to solve a critical problem for CoreOS: how to safely coordinate unattended automatic software updates across a cluster of Linux nodes. Today hundreds of companies use etcd as part of their production systems to hold critical data for their Kubernetes clusters, network systems, monitoring systems, and much more. But, how did etcd evolve from a CoreOS intern project to being a critical system in the Cloud Native ecosystem? This talk will cover the 5 year history of etcd from the stumbles, use cases, and technical evolution. We will also dive into the trade-offs that were made as the system went from theoretical prototype to production ready workhorse. You don't have to be an expert on containers, orchestration, or etcd to be able to have some great takeaways from this talk. If you haven't already please make sure to grab your ticket so you'll be able to join us for enlightening talk before we're sold out. We are down to counting the days until PostgresOpen SV 2018 in downtown San Francisco, September 5th to 7th! Registration is closing in coming days so make sure to grab your tickets while you still can. We also still have a few seats in our tutorials open, so if you're hoping to attend a half day tutorial/training save your seat today. PostgresOpen wouldn't be able to happen without the tireless efforts of the individuals at the [United States PostgreSQL Association (PgUS), please consider joining! PgUS is the non-profit organization which backs PostgresOpen and other events. We look forward to seeing everyone in San Francisco in of weeks! PostgresOpen is coming up in less than a month and we've got an exciting time planned. We're kicking off with tutorials on September 5th, followed by two days of talks ranging from talks by Postgres end users to committers talking about the latest and greatest performance advancements. This year the conference is again held in downtown San Francisco, make it easy to get to your hotel via quick Bart ride from the airport without ever needing to grab a car. Many of you are already registered for the conference and all set, but for you stragglers out there you still hvae some time to get your tickets and reserve your hotel room. You'll want to make sure to grab you hotel room this week as the hotel block will run out by next week so make sure to secure your room so you can be right by all the conference activities. Note: You do need to register for tutorials in advance of the conference and cannot drop in day of, so please make sure to grab your registration now. Have any questions or things we can help with as you prepare to join us at PostgresOpen this year? Email us at program2018@postgresopen.org. We look forward to seeing you all there. We are getting into swing with all things PostgresOpen SV 2018, the U.S. PostgreSQL Community Conference, running September 5-7 2018 in lovely downtown San Francisco. The Call For Papers for PostgresOpen SV 2018 is open, but closing soon! The PostgresOpen committee is especially excited to help support first time speakers or speakers from under-represented groups within technology. We strongly encourage those individuals to submit talks. As part of that effort we'll be providing mentoring for any speakers that desire it if your talk is accepted. Don't let prior experience speaking hold you back as we'd love to have you submit a talk. If you are working with PostgreSQL, please go here and submit a talk! The CFP closes on Tuesday, June 12. We are looking for talks on all things PostgreSQL from Case Studies and experiences to New Features, Benchmarks, Existing Features, Data Science and Analysis, and everything in between. Our Call For Sponsors is open! We have many levels available for all companies to be able to sponsor, please review our prospectus and reach out to us about how you can sponsor. The 2018 PostgresOpen SV Committee looks forward to bringing the best PostgreSQL presentations and tutorials from speakers around the world to San Francisco and to connect PostgreSQL users, DBAs, executives, developers, engineers, and our sponsors together! Keep an eye on https://2018.postgresopen.org/sponsors/ for updates. 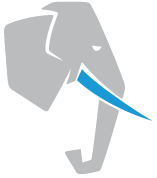 PostgresOpen is an Associated Project of the United States PostgreSQL Assocation (PgUS)! Without PgUS, we would not be able to run these conferences each year, nor support the many PUGs around the country, so please visit https://postgresql.us and consider becoming a member to help promote the growth and education of PostgreSQL in the US! Speakers will be notified by June 19th, 2018, with the schedule to be published once selected speakers have confirmed. Join us in celebrating our 8th conference year! We look forward to seeing everyone in San Francisco!